The Cormorants are Coming ! 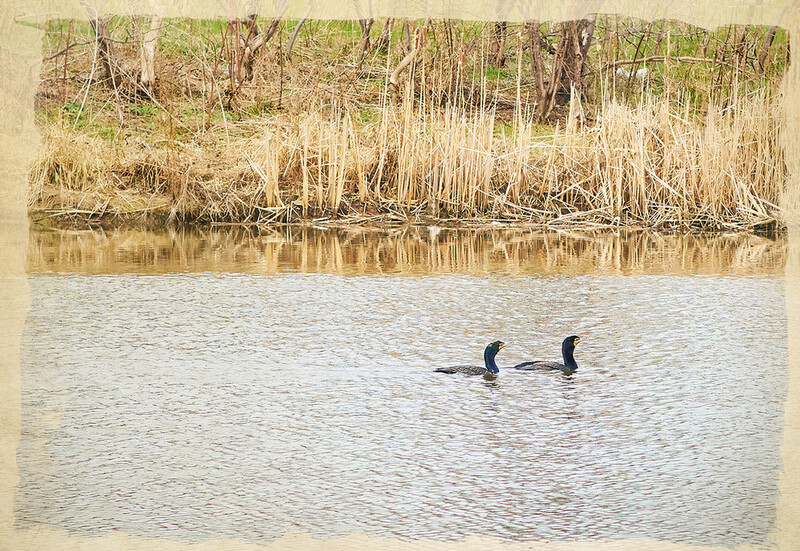 A number of cormorants usually pass through our area, in spring and fall, and spend a few days around our little pond. This morning I saw a couple for the first time this spring. I expect there will be more in the days to come. As usual I was caught with the wrong lens for the scene but, oh well, maybe next week I'll get out with my telephoto. See Photos On Popular Page here: Just trying to keep track of this link for myself.